Arctic ice: Less than meets the eye – environment – 31 August 2010 – New Scientist. LAST September, David Barber was on board the Canadian icebreaker CCGS Amundsen (pictured), heading into the Beaufort Sea, north of Alaska. He was part of a team investigating ice conditions in autumn, the time when Arctic sea ice shrinks to its smallest extent before starting to grow again as winter sets in. Barber, an environmental scientist at the University of Manitoba in Winnipeg, Canada, went to sleep one night at midnight, just before the ship was due to reach a region of very thick sea ice. The Amundsen is only capable of breaking solid ice about a metre thick, so according to the ice forecasts for ships, the region should have been impassable. Yet when Barber woke up early the next morning, the ship was still cruising along almost as fast as usual. Either someone had made a mistake and the ship was headed for catastrophe, or there was something very wrong with the ice, he thought, as he rushed to the bridge in his pyjamas. On the surface, the situation in the Arctic looks dramatic enough. In September 2007, the total extent of sea with surface ice shrank further than ever recorded before – to nearly 40 per cent below the long-term average. This low has yet to be surpassed. But the extent of sea ice is not all that matters, as Barber found. Look deeper and there are even more dramatic changes. This is something everyone should be concerned about because the transformation of the Arctic will affect us all. The record low in 2007 cannot be blamed on global warming alone; weather played a big role too. That year saw a build-up of high pressure over the Beaufort Sea and a trough of low pressure over northern Siberia – a weather pattern called the Arctic dipole anomaly. It brings warm, southerly winds that increase melting. The winds also drive sea ice away from the Siberian coast and out of the Arctic Ocean towards the Atlantic, where it melts. In 2008 and 2009, the dipole anomaly did not dominate and the extent of ice did not shrink as much during summer. This rebound led to much talk of a recovery in Arctic ice. This June, the dipole anomaly returned and the ice extent for the month was the lowest ever. In July, however, the dipole pattern broke up and the rate of ice loss slowed. “Whether or not we set a new record depends very much on the weather patterns,” says Mark Serreze of the US National Snow and Ice Data Center based in Boulder, Colorado, which monitors the extent of sea ice – a particular way of measuring its area. While much attention is likely to be paid to whether or not a new record is reached in the next month, there is more to sea ice than area alone. New sea ice can grow up to 2 metres thick during the winter. If it survives the summer melt, it can grow even thicker over the three to six years it might last before being swept past Greenland and out into the Atlantic Ocean, or succumbing to the summer melt. In places, this multi-year ice can pile up forming “pressure ridges” as much as 50 metres deep. But its average thickness is now less than 3 metres according to ICESat, the only satellite capable of measuring ice height and thus thickness (Geophysical Research Letters, vol 36, L15501). There is no long-term record of the total volume of ice because we have only patchy data; ICESat was launched in 2003 and failed earlier this year. The nearest thing we have are estimates from PIOMAS, developed by Jinlun Zhang and his colleagues at the University of Washington’s Polar Science Center in Seattle. Actual satellite measurements of sea ice concentration since 1978 are fed into a computer model of the growth, melting and motion of sea ice to produce an estimate of ice volume. PIOMAS’s results correspond well with independent measurements by submarines and by ICESat. According to PIOMAS estimates supplied to New Scientist by Zhang, the average volume of Arctic ice between July and September has fallen from 21,000 cubic kilometres in 1979 to 8000 cubic kilometres in 2009. That is a 55 per cent fall compared with the 1979 to 2000 average. “The loss of ice volume is faster than the loss of ice extent,” says Zhang. His model suggests that not only has the total volume of Arctic ice continued to decline since 2007, but that the rate of loss is accelerating (see “Going, going…”). How can ice volume have kept falling when extent increased again after 2007? Because less and less ice is surviving to see its first birthday. “First-year ice is now the dominant ice type in the Arctic, whereas a few years ago multi-year ice was dominant,” says Barber. Young ice is thinner than multi-year ice, and thus more likely to break into smaller pieces that melt more quickly, and more likely to be swept out of the Arctic and into warmer seas. That is precisely what happened in 2007, when persistent winds blew a thinner ice pack through the Fram Strait between Greenland and the island of Spitsbergen, leading to the dramatic ice loss. “The same wind 30 years ago when the ice was thicker would not have done as much damage,” says Bruno Tremblay, a climate researcher at McGill University in Montreal, Canada. And while the area of young ice increased in 2008 and 2009, the amount of multi-year ice continued to fall. “There wasn’t a recovery at all,” Barber says. Even the nature of the remaining sea ice might be changing. When Barber rushed up to the bridge that morning in September 2009, the first officer told him that while it looked like there was ice, it was no barrier to the ship at all. The reason: the ice was rotten. It consisted of multi-year ice that had become riddled with surface thaw holes and had broken into pieces. Over winter, a 5-centimetre layer of new ice had formed over the dispersed floes. If a person tried standing on it they would fall right through, so it was no obstacle to the Amundsen. It is not clear how widespread these conditions are because satellites cannot distinguish between rotten and more solid ice (Geophysical Research Letters, vol 36, p L24501). The rotten ice is less of a barrier to waves as well as ships, meaning waves can penetrate further into ice packs and break up more ice. What it all means is that, much like the Amundsen, we are now cruising effortlessly into a world that may soon feature an essentially ice-free Arctic during at least part of the year. “Thirty years from now, maybe even 20 years from now, if you were to look at the Arctic from space you would see a blue ocean [in summer],” says Serreze. The implications of such changes for wildlife and the human inhabitants of the region, for the global climate and for geopolitics are profound. The Arctic would be traversable by ship. It would be far more open to oil and gas exploration, and mineral extraction. Its dark ocean waters, mostly devoid of ice, would absorb still more sunlight, further warming the overlying atmosphere during an increasingly lengthy ice-free season, reshaping weather throughout the region and well beyond it. Worryingly, the melting of the Arctic sea ice is proceeding considerably more quickly than most climate models have predicted. Among the suite of models submitted for the 2007 report of the Intergovernmental Panel on Climate Change (IPCC), only two out of 23 yielded results for Arctic sea ice that were consistent with observations, says Cecilia Bitz of the University of Washington in Seattle. According to the 2007 models, the Arctic will not become ice-free in summer until some time after 2050. However, researchers like Barber and Serreze think this landmark occurrence will come much earlier. Barber has predicted that it will occur sometime between 2013 and 2030. If most models aren’t capturing the full extent of changes in the Arctic, it is probably because the modelled feedbacks are too weak, says Bitz. In other words, they may not be sensitive enough to processes that, once they get going, self-amplify in a continuing loop. Every model includes the “ice albedo feedback”, in which the melting of ice that reflects most of the sun’s heat exposes dark water that absorbs most heat. That leads to more melting and so on – a positive feedback. But there could be many others. Consider, for instance, the role of Arctic storms. They break up ice with their winds and waves, making it more prone to melting – and the more open water there is, the more powerful waves can become. These larger waves – which were not included in any models – then penetrate further into the ice pack, breaking it up into smaller and smaller pieces, says Barber. From the bridge of the Amundsen as it sat moored in the ice last year, Barber himself watched as a large swell broke a chunk of ice the size of Manhattan into a number of pieces roughly 100 metres across. Storms also bring snow, which in autumn and winter actually slows the growth of sea ice by insulating it from cold winds, as well as reducing heat loss from the sea below. So if climate change leads to more snow in autumn and winter, this will be yet another factor contributing to the loss of sea ice. The implications of the loss of Arctic sea ice in the summer are hard to overstate. Most attention has focused on charismatic megafauna like polar bears and walruses, but they are just the icons of a broader ecosystem that is already being dramatically disrupted. The sea ice is as important as the trees to a rainforest, Barber says. A warmer Arctic will also affect weather in the mid-latitudes – indeed, it has already begun. Take the Great Plains of the US. According to Michael MacCracken of the Climate Institute in Washington DC, this region’s weather is very much determined by clashes between cold air masses coming down from the Arctic and warm air masses from the Gulf of Mexico. As the Arctic blasts are less cold than they used to be, the Gulf’s warm air tends to push further northwards. The result is a northward shift of weather patterns, and more extreme storms and heavy precipitation events in regions not used to them. Finally, there are the economic and industrial implications. “The engineering challenges get simpler,” says Barber, “for drilling, for putting drill ships in place, for having icebreakers, to make tankers carry oil across the pole – all those kinds of challenges associated with industrial development.” Such challenges will diminish, or even vanish entirely. The Amundsen’s surprisingly easy voyage through the Beaufort Sea in September 2009 could be a herald of things to come. Earl threatens US Coast after hitting Caribbean – Yahoo! News. Hurricane Earl in a satellite image taken August 30, 2010. MIAMI (Reuters) – Hurricane Earl followed a path toward the U.S. East Coast on Tuesday as the powerful storm pulled away from northeastern Caribbean islands it had pounded with winds and rain, the U.S. National Hurricane Center said. Forecasters said it was still unclear which part of the U.S. eastern seaboard that Earl, the second major hurricane of the 2010 Atlantic season, might affect later in the week. “Interests from the Carolinas northward to New England should monitor the progress of Earl,” the Miami-based hurricane center said in its 5 a.m. EDT advisory. Earl was a strong Category 4 storm with top sustained winds of 135 miles per hour and was 290 miles east-southeast of Grand Turk Island. It was moving west-northwest on a curving track the hurricane center said could take it near Cape Hatteras, North Carolina, on Thursday and Friday. The storm center was moving farther from the U.S. island territory of Puerto Rico and was forecast to cross the open Atlantic east of the Turks and Caicos island later on Tuesday. On its current path, Earl posed no threat to the Gulf of Mexico, where major U.S. oil and gas installations are located. A direct hit on the U.S. East Coast could not be ruled out, and Earl was expected to bring drenching rain, dangerous seas and surf and gusting wind to the Atlantic Coast from North Carolina to New England and Canada, said Alex Sosnowski, a senior meteorologist for private forecaster AccuWeather. If Earl swings farther west than expected, heavy rain could sweep the Interstate 95 corridor from North Carolina to Washington, Philadelphia and New York City, he said. Hovensa LLC said operations were normal at its 500,000 barrel-per-day refinery on the island of St. Croix, but that the refinery’s harbor and all other ports in the U.S. Virgin Islands had been closed because of Earl. Earlier, the hurricane buffeted the northernmost Leeward Islands of the Caribbean with fierce winds, driving rain and pounding waves as it passed. The world’s three largest cruise lines — Carnival Corp, Royal Caribbean and Norwegian Cruise Line — changed their Caribbean itineraries and rerouted at least seven ships to avoid the storm. Residents on the island of St. Martin/St. Maarten, its two halves administered respectively by France and the Netherlands, said Earl’s passage caused power outages and toppled trees. “Now the wind is really blowing, incredibly strong … I’ve seen a lot of tree damage … I would certainly assume roofs off, I’m watching mine very carefully,” Steve Wright, general manager of the Grand Case Beach Club in Grand Case, St. Martin, told Reuters. In Antigua, some flooding in low-lying areas was reported. After the hurricane passed, Antigua and Barbuda declared a national holiday to allow residents of the twin-island state to mop up. The ports of the U.S. Virgin Islands and the Puerto Rican ports of Vieques, Culebra, Fajardo, and San Juan were closed, the U.S. Coast Guard said. Government offices and schools in eastern Puerto Rico were shut. The hurricane center said Tropical Storm Fiona was about 590 miles (950 km ) east of the Leeward Islands. It had top winds of 40 mph and was moving west-northwest at 23 mph on a course that was expected to take it northeast of the Leeward Islands on Wednesday. None of the forecast models took Fiona into the Gulf of Mexico. SAN JUAN, Puerto Rico – Hurricane Earl, now a powerful Category 4 storm, barreled toward the U.S. coast early Tuesday after battering tiny islands across the northeastern Caribbean with heavy rain and winds that damaged homes and toppled power lines. Earl is forecast to potentially brush the U.S. East Coast late Thursday, before curving back out to sea, potentially swiping New England or far-eastern Canada. The U.S. National Hurricane Center warned coastal residents from North Carolina to Maine to watch the storm closely. The storm’s center passed just north of the British Virgin Islands on Monday afternoon. By nighttime, the hurricane was pulling away from the Caribbean, but heavy downpours still threatened to cause flash floods and mudslides in Puerto Rico and the Virgin Islands by drenching already saturated ground. The Hurricane Center said it was too early to say what effect Earl would have in the U.S., but warned it could at least kick up dangerous rip currents. A surfer died in Florida and a Maryland swimmer had been missing since Saturday in waves spawned by former Hurricane Danielle, which weakened to a tropical storm Monday far out in the north Atlantic. Craig Fugate, administrator of the Federal Emergency Management Agency, said Earl’s approach ought to serve as a reminder for Atlantic coastal states to update their evacuation plans. Close on Earl’s heels, Tropical Storm Fiona formed Monday afternoon in the open Atlantic. The storm, with maximum winds of 40 mph (65 kph), was projected to pass just north of the Leeward Islands by Wednesday and stay farther out in the Atlantic than Earl’s northward path. Fiona wasn’t expected to reach hurricane strength over the next several days. Wind was already rattling the walls of Lila Elly Ali’s wooden house on Anegada, the northernmost of the British Virgin Islands, when she and her son went out to nail the doors shut Monday. “They say the eye of the storm is supposed to come close to us, so we’ve just got to pray. Everyone here is keeping in touch, listening to the radio,” the 58-year-old said by phone from the island of 280 people. After Earl’s center passed, there were reports of roofs torn from homes on Anegada, but the extent of damage across the Virgin Islands was unclear Monday night. Emergency officials said they had no immediate reports of any fatalities or serious injuries. “Thank God we survived,” said a caller to the British Virgin Islands’ ZBVI Radio. “I don’t think we could get a flight even if we wanted to leave,” Linda Helton added. Early Tuesday, Earl was about 175 miles (280 kilometers) north-northwest of Puerto Rico’s capital, San Juan, and moving west-northwest near 13 mph (20 kph), according to the center in Miami. Hurricane-force winds extended outward up to 70 miles (110 kilometers) from its center. Associated Press writers Ben Fox in Fajardo, Puerto Rico, Anika Kentish in St. John’s, Antigua, Judy Fitzpatrick in Philipsburg, St. Maarten, Clive Bacchus in Basseterre, St. Kitts, David McFadden in San Juan and Sofia Mannos in Washington contributed to this report. 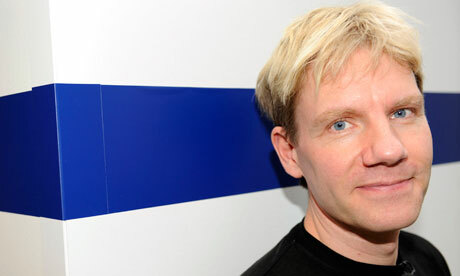 Bjørn Lomborg: $100bn a year needed to fight climate change | Environment | The Guardian. Danish professor Bjorn Lomborg. Photograph: Adrian Dennis/AFP/Getty ImagesThe world’s most high-profile climate change sceptic is to declare that global warming is “undoubtedly one of the chief concerns facing the world today” and “a challenge humanity must confront”, in an apparent U-turn that will give a huge boost to the embattled environmental lobby. MIT unveils swimming, oil-cleaning robots – CNN.com. 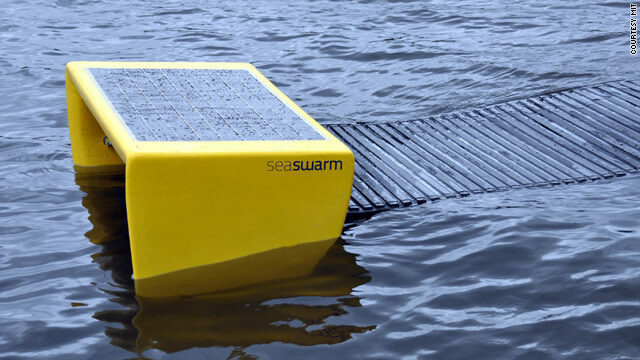 Prototypes of the MIT Seaswarm robots have been tested in the ocean, but they’re not ready for commercial use. (CNN) — Here’s a new way of looking at oil spill clean-up: Forget the big ships, massive work crews and hefty price tags. Pakistan seeks to salvage economy as more flee floods | Reuters. Flood victim Kunjah carries her younger brother while taking refuge with her family in a relief camp in Sukkur, in Pakistan’s Sindh province August 26, 2010. SUKKUR, Pakistan/WASHINGTON (Reuters) – Pakistan ordered fresh evacuations from Sindh province on Thursday as the country struggled to bring relief to millions displaced by flooding and sought international help to rescue its economy. Pakistan’s finance minister and central bank governor joined International Monetary Fund talks in Washington that are focused on salvaging the economy. Finance Minister Abdul Hafeez Shaikh said his country wants to keep pursuing an $11 billion IMF loan program and demonstrate its resolve to make tough economic decisions, dismissing reports that Pakistan might abandon the program. “We want to remain on track with the IMF program because that is a reform program that we are ourselves undertaking,” he told reporters outside the IMF headquarters. Separately, the U.S. State Department said it had “threat information” that foreign aid workers and Pakistani ministries responding to the natural disaster may be targeted by militants. In northern Sindh, local authorities issued a new evacuation order for Shahdadkot, a town of about 300,000, for the remaining few tens of thousands of people to leave as floodwaters approached the town. Downstream in Thatta, the towns of Sujawal, Daro and Mirpur Batoro, with a combined population of 400,000, were ordered evacuated after the swollen Indus river broke through an embankment early Thursday morning. Floodwaters are beginning to recede across the country, but because of high tides in the Arabian Sea and the possibility of more rain, the risk of flooding remains in Sindh. The spokesman for the powerful Pakistani Army said difficulty in reaching certain areas, where 800,000 people are accessible only by air, could fuel social unrest. “If the aid doesn’t reach certain areas, then yes, the people will become restive,” said Major General Athar Abbas. The worst floods in decades have made the government more unpopular, heightening concerns about a nation that is already battling Islamist militants. In Sukkur, to the north, flood victims crowded relief camps and said incidents of disease were increasing. Pakistan’s government, and its ally the United States, have warned that the Islamist militants the military is battling may try and exploit the chaos. Washington sees Pakistan as a frontline state in its war against the Taliban and al Qaeda. “We have information of … potential targeting of foreign relief workers in Pakistan as well as government ministries,” U.S. State Department spokesman P.J. Crowley told reporters in Washington, saying both countries were doing their utmost to protect aid workers and to ensure relief operations continue. One Pakistani government official said he did not think the Taliban would attack as this would trigger a public backlash, while army spokesman Abbas said he had not received reports of any threat to aid workers. In Washington, Finance Minister Shaikh appealed for understanding from the international community as he joined the IMF talks, which began on Monday. The delegation is expected to seek easier terms under the IMF program agreed in 2008 to ensure the country can meet fiscal and monetary targets and keep qualifying for IMF funds. Pakistan aimed to ensure fiscal austerity, stay within fiscal targets and reform public sector corporations to set the stage for economic growth, he said. IMF spokesman Gerry Rice said the talks were currently focused on “getting a better sense of the impact of the floods on the economy.” He urged donors to give grants, not loans, for rebuilding projects to avoid adding to Pakistan’s debt burden. The talks are likely to last until late next week. The delegation is scheduled to meet World Bank President Robert Zoellick on September 1. The floods have damaged at least 3.2 million hectares (7.9 million acres) — about 14 percent of Pakistan’s entire cultivated land — according to the United Nation’s food agency. The total cost so far in crop damages is about 245 billion rupees ($2.86 billion). According to the United Nation’s Office for the Coordination of Humanitarian Affairs, 60 percent, or $274.7 million out of $459.7 million, of funding for emergency response has been met. High seas force delay in key step needed to kill Gulf oil well – CNN.com. (CNN) — High seas in the Gulf of Mexico have forced the postponement of an operation to remove the capping stack on the ruptured underwater oil well, detach the blowout preventer and replace it with a new one, BP said on its Twitter page Monday. “Operations will commence as soon as sea states reach acceptable levels,” the company said. Retired Adm. Thad Allen had said earlier that crews would begin removing the capping stack that has trapped oil in the well since last month. That will allow them to detach the blowout preventer and replace it with a new one — key steps before engineers use a relief well to permanently kill the well 18,000 feet below the Gulf’s surface. from below in what’s called a “bottom kill” procedure. Mount Sinabung spews thick smoke after erupting in North Sumatra. Jakarta, Indonesia (CNN) — Two people have died and more than 30,000 were displaced when a long-dormant volcano in Indonesia erupted again on Monday, officials said. “It has now stopped. We have enough food and water here, but we need more gas masks,” said Johnson Tarigan, a spokesman for Karo district. Some small domestic flights have been deferred because of the volcanic ash, but larger planes have not been affected, since they can simply fly over the ashes, said Bambang Ervan of Indonesia’s Ministry of Transportation. Two deaths were reported Monday after the second eruption. After the eruption, glowing volcanic materials spewed out of the long-dormant mountain and could be seen as far as 10 km away (10.2 miles), the official Antara news agency reported. Officials are concerned that if the eruption continues, the smoke — up to 2,000 meters (6,561 feet) high — could disrupt aviation. But the nearby Polonia International Airport was still operating normally Monday. The volcano erupted just after 12:15 a.m. Sunday (1:15 p.m. ET Saturday), the official Antara news agency reported. On Saturday, the Center for Volcanology and Geological Disaster Mitigation issued a warning and ordered evacuation of a six km (3.7 miles) radius around the volcano. Investigators are studying the volcano, which officials had believed was inactive before Sunday’s eruption. via 2 die after Indonesian volcano erupts again – CNN.com. t r u t h o u t | US Climate Bill Is Dead While So Much Life on Our Earth Continues to Perish. Written by an Indian dude living in Santa Fe! Imagine you live in New York City, and one fine morning you awake to the realization that 90 percent of all the buildings that were more than five stories tall have been destroyed. You will hardly have the words to talk about this devastation, but I’m sure you will walk around the rubble to make sense of it all. Something similar has happened in and around Santa Fe, New Mexico, where I currently live. Between 2001 and 2005, aerial surveys were conducted over 6.4 million acres of the state. Some 816,000 affected acres were mapped and it was found that during this short period Ips confusus, a tiny bark beetle, had killed 54.5 million of New Mexico’s state tree, the piñon. In many areas of northern New Mexico, including Santa Fe, Los Alamos, Española, and Taos, 90 percent of mature piñons are now dead. Under normal climate conditions, bark beetles live in harmony with their environment, laying their eggs in dead or weakened trees. However, when healthy trees become stressed from severe and sustained drought, they become objects of attack: the beetles drill into their bark, laying eggs along the way, and killing their host. Milder winter temperatures have ensured more of them survive the winter, and warmer summer temperatures have reduced the life cycle duration of the beetles from two to one year, and subsequently their numbers have exploded in recent years. In March 2006, my then–future wife Nora and I rented a house in Eldorado, a suburban community about 15 miles southeast of Santa Fe. Each day as I drove from our home to the nearby city, all along the way on both sides of the road I’d see large areas of grey–brown (dead piñons) in the midst of green (live junipers). During my childhood in India, I was fascinated by the detective stories of Satyajit Ray’s Feluda series. Because of the forest devastation I witnessed daily, I took on the role of a self–assigned visual detective of a geographic region bound by a 5–mile radius around our home. I walked again and again the same three paths, each no more than 2 miles long. As I repeated my walks, I gradually began to realize that the environment around our home in the desert is perhaps as biodiverse as the arctic, where I have been taking photographs for the past decade. In both regions, one far and one near, I am attempting to address two simple things: home and food that land provides to humans as well as to numerous other species with whom we share this earth. I’ll share with you a few experiences and a little bit of what I learned from these walks. From a distance I see a large dead piñon with a canopy that spreads more than 20 feet. I can determine from the canopy size that the tree was more than 600 years old when it died. Piñons take nearly 300 years to mature and can live up to 1,000 years. As I get closer to the dead tree, I notice the damaged skin with many protrusions that look like soft yellow globs or lines. Such skin is visual evidence that the tree did not die a normal death, but instead put up a fight against beetles by sending out sap to drown them in resin. In the end the tree lost, as the number of beetles the tree was fighting was far too many. I’ve never seen a bark beetle, whose size is no bigger than a grain of rice, and I doubt you’ll see one either, but if you look closely at the skin of one of these dead piñons you will know that the beetles were here and that the tree fought hard. Occasionally I see a beautiful northern flicker pecking away at a dead tree trunk, either building a nest or looking for food – insects that have come to break down the dead tree. In the process, the flicker will create perfectly circular holes. These cavities will become possible homes for gorgeous western and mountain bluebirds. Even after death these dead piñons provide home and food for many species. On my walks I also come across areas that resemble graveyards, where every piñon in immediate sight is dead. But I continue to see birds resting on the branches of these dead trees. And when I wait patiently, sometimes I am rewarded with the sight of a tiny black–chinned hummingbird, which weighs less than 1/2 ounce, on top of a 20–foot–high dead piñon as it catches its breath briefly before buzzing off to feed on a cluster of bright–orange Indian paintbrush. Piñon trees produce protein–rich nuts once every four to seven years. Nut eaters like Piñon Jays critically depend on piñon nuts for sustenance, but they also serve a very important role in the regeneration of piñon woods. A typical flock of 50 to 500 birds can cache more than 4 million piñon seeds in a good year in New Mexico, and uneaten seeds result in new trees. For Native American communities of the desert southwest, piñon tree has been of immense cultural, spiritual, and economic importance for many millenia. The nut is extensively harvested throughout its range. It has been a staple for a long time and continues to be eaten and used in cooking today. This is not the first time that piñon forests have been destroyed. It has been suggested that the ancient Pueblo people of Chaco Canyon in New Mexico overharvested the piñon–juniper woodlands around their community to support the growing need of timber for fuel and building materials. In the process they deforested woodlands that eventually contributed to their abandoning the magnificent community they had built. Even more extensive devastation occurred during the late nineteenth and throughout the twentieth century, when vast areas of piñon woodlands were deforested to support cattle ranching, which indigenous communities and others regard as a major act of ecocultural vandalism. According to a fascinating book, Ancient Piñon-Juniper Woodlands: A Natural History of Mesa Verde Country, biologists have recently begun to define the piñon–juniper woodland as an old–growth forest. This ecosystem supports an incredible diversity of wildlife, including 250 bird species (50 percent of all bird species west of Mississippi and more than a quarter of bird species in the U.S. and Canada), 74 species of mammals, 17 species of bats, 10 amphibian species, and 27 species of reptiles. Sadly, junipers are also dying (in lesser numbers so far) from extreme heat and drought. When I started my walks, I did not realize that there existed an old–growth forest in the New Mexican desert. Every time I call my mom in India she complains about how hot this summer has been. This year we had the hottest first six months globally since recording began in 1880. In Santa Fe, we broke the June high temperature record with a 100oF (average high is 83oF), the July record with another 100oF (average high is 86oF), and with 95oF already we’ve tied the August record (average high is 83oF). So it is no surprise that many of our remaining live piñons are again oozing soft yellow pitches. As it happens, these piñons were blooming last year and now they have beautiful green cones that will mature with nuts. These piñons are fighting–and–fruiting right now for their survival but they are infected and will die. Even reforestation is taking on a different meaning in the twenty–first century. Young piñon trees have little chance of surviving extreme heat and drought. Each time I drive on Cerrillos Road to get to Interstate 25, I see a line of recently planted piñons, but some of the young trees are already dead, and I surmise the others might be infected. If we lose our remaining piñons in the coming decades due to global warming, how would we then talk about the tree that has been ecoculturally most significant for New Mexico and its Native American communities for thousands of years? In 2004, Michelle Nijhuis reported in High Country News that several species of bark beetles were ravaging forests all across the American West. The black spruce, white spruce, ponderosa pine, lodglepole pine, whitebark pine, and piñon have all been devastated by recent bark beetles epidemic. Scientists now suspect that by killing our forests, these beetles are also altering the local weather patterns and air quality. Earlier this year, the U.S. senate had scheduled a hearing on the bark beetle epidemic, but, angered by the passage of the healthcare bill, Senate Republicans canceled the hearing on March 23. The hearing was finally held on April 21. Senator Mark Udall (Democrat-Colorado), co–sponsor of the National Forest Insect and Disease Emergency Act, wrote in his senate blog, “The infestation is a critical public health and safety issue for the people of Colorado and has been called the worst natural disaster our region has seen.” The bill names twelve states affected by the epidemic: Arizona, California, Colorado, Idaho, Montana, Nevada, New Mexico, Oregon, South Dakota, Utah, Washington, and Wyoming. This list should also include Alaska, where spruce bark beetles have destroyed very large areas of spruce forests, some of which I saw during my time there. The hearing mainly focused on offering tens of millions of dollars of federal assistance to remove dead trees from affected areas to avoid potential forest fire damage. Ecologist Dominik Kulakowski, who testified, thought it was an unproductive approach and said that if the government focuses on trying “to make a wholesale modification of forest structure over large landscapes,” it could be ecologically damaging. Was the hearing a case of destroy and then clean up – a common practice in our now global consumerist culture? In March, Jim Robbins reported in Yale Environment 360 that global warming is killing forests across the American West as well as in many parts of the world. So I asked my colleagues for local observations. Global warming skeptics would point to the fact that trees have died in the past from insect outbreaks and droughts, and so this is part of a natural climate cycle. But this time around something is very different: Forests are dying simultaneously in many places around the world in all forest types, and the intensity and rapidity with which they are dying in some places is of epic proportions. As I started thinking about our dead forests, I wondered: Do we really need another story of global warming devastation? Haven’t we heard enough about melting glaciers and icebergs, retreating sea ice and disappearing polar bears? Then something tugged on my shoulder: Are we not to mourn the deaths of so many trees? But we mourn that which we knew and cared for. We did not know these trees. My hope has been to introduce to you the trees as ecological beings beyond their usual association as board–feet–for–lumber. Hundreds of millions of trees have recently died and many more hundreds of millions will soon be dying. Now think of all the other lives, including birds and animals, that depended on those trees. The number of these must be in the tens of billions. What happened to them and how do we talk about that which we can’t see and will never know? This massive loss must be considered a catastrophic global warming event. Consider for a moment the top two carbon sinks of our planet. Oceans absorb more than 25 percent of the CO2 humans put in the air, and forests absorb almost the same amount. By doing so, our forests and oceans together make living possible on this earth for life as we know it now. All of that is changing rapidly and for the worse. Didn’t we learn as kids in school that CO2 in the atmosphere is good for trees because it acts as a fertilizer and helps them grow? Increasing levels of CO2 in the atmosphere from industrialization indeed may have aided more trees to grow in the past century. But such short–term gain has already faded away and turned into disaster. All three of the largest forests of the world are rapidly losing their carbon sink capacities. The Siberian taiga is the largest continuous stretch of forested land on earth. It extends from the Urals in the west to the Kamchatka peninsula in the Russian Far East. Ernst–Detlef Schulze of the Max–Planck–Institute for Biogeochemistry has studied this taiga for 30 years. He calls it “Europe’s green lungs,” as these trees soak up much of the CO2 emitted by European smokestacks and automobiles farther west. Long stretches of extreme droughts have resulted in unprecedented forest fires that destroyed vast swathes of the taiga. Major deforestation is also happening there to fuel the need of (now) emerged economies such as China. And the fir sawyer beetle, larch bark beetle, and Siberian moth have also damaged large areas of the taiga. This year Russia is experiencing the hottest summer ever, which has resulted in deadly forest fires with smokes over Moscow that made international headlines. Boreal forests of eastern Siberia are also ablaze with intense fires. Scientists have recently detected a poisonous ring around the planet created by an enormous cloud of pollutants that are being released by raging forest fires in central Russia, Siberia, and Canada. In November 2007, I went to the Sakha Republic of Siberia with Inupiat hunter and conservationist Robert Thompson from Arctic Alaska. While camping with the Even reindeer herders in the Verkhoyansk Range, the coldest inhabited place on earth, we experienced temperatures of minus 65oF (without wind–chill) and were told that January temperature dip to minus 90oF. We also spent time with the Yukaghir community at Nelemnoye along the Kolyma River, made infamous by Stalin’s Gulag camps. We learned that even in such a cold place, the Siberian permafrost is melting rapidly during the summer months due to warming. In Siberia, with the destruction of taiga and thawing of permafrost, the ghosts–of–gulags are ready to strike back at us with a deadly carbon bomb that we know little about. The North American boreal forest stretches across U.S. and Canada from Alaska in the west to Newfoundland in the east, making it the second largest continuous forested ecosystem on earth. It is now confirmed that a lodgepole pine forest in British Columbia, Canada, that died from bark beetles outbreak has transformed from being a small net carbon sink to being a large net carbon source. We can probably say the same for all the other bark beetles infecting dying forests across the west. The Amazon rainforest is the largest tropical forest on earth and stretches across nine countries – Brazil, Peru, Columbia, Venezuela, Ecuador, Bolivia, Guyana, Suriname, and French Guiana. I’ve never been to the Amazon, but I’m learning that forest fires, droughts, and deforestation have already destroyed very large areas of this forest. The Amazon is in great trouble: Scientists are predicting that a 4oC temperature rise would kill 85 percent of the Amazon. With climate inaction so far, we are heading rapidly toward such a reality. Our natural carbon sinks are losing the battle with global warming, increasing human CO2 emissions, and extreme oil–and–gas drilling. Every citizen of our planet should be asking the question: Who or what will capture the carbon that we continue to emit? And every government ought to address this question as the most urgent priority if we are to ensure life on Earth. Last month the U.S. Senate finally put an end to the climate bill. Since then several opinion pieces have been published, including articles in Yale Environment 360, Grist, TomDispatch, The Nation, and The Hill. Some of these point out why the U.S. climate movement failed, while others call for a new movement. Global warming is a crisis: for all lands, for all oceans, for all rivers, for all forests, for all humans, for all birds, for all mammals, for all little creatures that we don’t see… for all life. We need stories and actions from every part of our earth. So far, global warming communications have primarily focused on scientific information. I strongly believe that to engage the public, we need all fields of the humanities. It is to this end that I founded ClimateStoryTellers. And there is much action: globally, 350.org and Climate Justice Movement; nationally, organizations such as Center for Biological Diversity; and state-based initiatives such as New Energy Economy in New Mexico. These groups give us hope that a bold – not weak – climate movement will continue to move forward with renewed energy. Our task is to make the collective global voice louder and louder until ignoring such loud cacophony will not be an option by our governments. Global warming is not something we can solve with good behavior and healthy lifestyles. It will require major government action to control pollution–and–polluters and to start a low–carbon–society. By not taking serious action on global warming, is humanity committing a colossal crime against all other lives on Earth? Subhankar Banerjee is a photographer, writer, activist, and founder of ClimateStoryTellers. His desert photographs will be presented in a solo exhibition, “Where I Live I Hope To Know,” at the Amon Carter Museum of American Art in Fort Worth (May 14–August 28, 2011) and in group exhibitions “(Re–) Cycles of Paradise” at the Centro Cultural de España in Mexico City (November 11, 2010–January 16, 2011) and “Earth Now: American Photographers and the Environment” at the New Mexico Museum of Art in Santa Fe (April 18–August 28, 2011). His arctic photographs will be presented in a solo exhibition “Resource Wars in the American Arctic” at the School of Fine Art Gallery at Indiana University in Bloomington (October 22–November 19, 2010) and in group exhibition “The Altered Landscape: Photographs of a Changing Environment” at the Nevada Museum of Art in Reno (September 24, 2011–February 19, 2012). Subhankar is currently editing an anthology titled “Arctic Voices.” You can visit his website by clicking here. New Orleans: Are the new defences tough enough? – environment – 27 August 2010 – New Scientist. It is almost exactly five years since hurricane Katrina devastated New Orleans, and the city is bracing for attack. In a revamp now nearing completion, the city’s 560-kilometre perimeter has been fortified by toughened levees, cement walls more than 9 metres high and foreboding gates that will grind shut when the enemy – flood water – nears. But some say that these upgraded defences, which cost the US federal government $14.45 billion, aren’t tough and comprehensive enough – in part because climate change could lead to more powerful storms. The city is certainly safer than it was on 29 August 2005, when Katrina made landfall. Its 8.5-metre surge went on to overpower a mishmash of poorly connected levees and flood walls. Now those walls have been replaced with steel-reinforced ones shaped like an inverted “T”, making it harder for a storm surge to topple them, says Gregory Gunter, an officer with the US Army Corps of Engineers, the agency overseeing the revamp. The mud levees that Katrina washed away are now bolstered with stronger clays, while pump stations come with flood-proof safe houses so operators won’t have to evacuate like they did in 2005. All this should protect the city from the kind of storm that historically has occurred once in 100 years. The system shouldn’t fail in a “400-year” Katrina-strength storm either, although Gunter says such a surge would probably flow over the barriers. This would lead to some flooding, but nothing like the scale of Katrina, which pushed over walls and breached levees. Robert Bea, an engineer at the University of California, Berkeley, and long-time critic of the corps’s flood defences, says the US is still “doing it on the cheap”. He contrasts the new defences with those that protect the Netherlands, which can withstand a 10,000-year storm. The Dutch “know that providing adequate flood protection [costs] something in the range of $100 billion”, he says. Paul Kemp, director of the National Audubon Society’s Louisiana Coastal Initiative in Baton Rouge, and former storm surge modeller, says the new designs presume that future storms will resemble past ones. He points out that climate change may increase hurricane strength. That suggestion is still a subject of hot debate. In any case, Kemp would have liked to see restoration of Louisiana’s coastal marshes, which absorb some of a storm surge’s bite. He thinks they are likely to be more resilient than artificial structures. He adds that the destructive threat posed by hurricanes is also increasing because the buffering wetlands are constantly being destroyed. While the corps has begun looking into coastal restoration as a way to protect the city, as yet no money has been set aside for this. Kemp also calls the idea of a 100-year storm a “mythical measure”, pointing out that we only have about 100 years of reliable data to work with, which isn’t necessarily enough to reflect long-term hurricane patterns. Pakistanis too broken to rebuild in flood crisis: Scientific American. MADYAN, Pakistan (Reuters) – Shah-e-Roon doesn’t have the energy, money or support from Pakistan’s government to help Madyan recover from floods that decimated the small town nearly a month ago. He has been walking for two days with a 20-kg (44 lb) sack of wheat on his back. Food shortages caused by the disaster have sent prices soaring and the only market he can afford is many kilometers away. “How can I think about rebuilding? I have no way of making money and I am just too tired,” said the 50-year-old farmer. Madyan, in the northwest Swat valley, looks more like an earthquake zone than a flood-stricken area. Four-storey hotels that fueled the local economy vanished. Buildings have been flattened, with cars sandwiched between slabs of concrete. Roads were dragged down and all that’s left behind are 30-meter (100-foot) dirt cliffs crumbling into a river. Pakistan’s government was heavily criticized after its sluggish response to the floods, which hit about one-third of the country, made more than 6 million homeless, and threaten to the bring the economy to its knees without outside intervention. The government could redeem itself by being more visible in the rebuilding effort. There is no sign of that in Madyan. Sajad Ibrahim’s father worked in oil power Saudi Arabia for 36 years to save enough to build five homes for his family. Flood waters pulverized them along with his business. “I have nothing. The government has done nothing. How can we go on like this without anyone’s help?” he said. Two soldiers have been bulldozing rocks and cement chunks in Madyan. They only cleared an area about 10 meters (33 ft) wide by 30 meters (100 ft) long in seven days. Another soldier encourages everyone who walks along the muddy area to carry a stone and place it in a pile near workers who are rebuilding the foundations of a collapsed bridge. Spirits had been rising in Madyan over the last year. Hotels overlooking the Swat river and beautiful lush mountains had started to attract tourists again after the army had pushed out Taliban insurgents. The government promised to invest heavily in infrastructure, schools and hospitals and build up security and police forces. Some, like Mohammad Azam, were ecstatic. He fled after the Taliban warned him to close his “immoral” DVD shop or face death and then rushed rushed back when it was safe and restarted his business. Little did he know that floods would pound his new third-floor shop into the river. Already overwhelmed by the catastrophe in many other parts of Pakistan, the government may not have the time or resources to help the people of Madyan. But few here are willing to give it any slack. Murad Badshah, who wonders how he is going to keep his waiters and cooks employed at his Hotel Seven Star, says the only way Madyan can recover is with a massive dose of foreign aid. He doubts it will ever arrive.